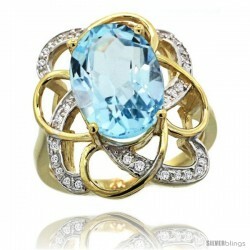 If you love Yellow Gold then you will love our line of 14k Yellow Gold Sky Blue Topaz Rings that comes in array of stones, designs, sizes and colors! 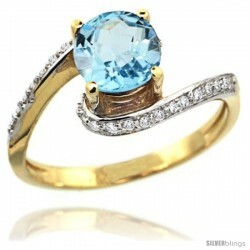 Our elegant, high quality, gorgeous collection of 14k Yellow Gold Diamond Jewelry are unique and is sure to please the finickiest of tastes. 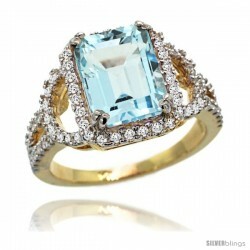 14k Gold Sky Blue Topaz Halo Engagement Ring 15.6 Carats Oval Cut Stone 0.23 cttw Diamonds, 3/4inch. 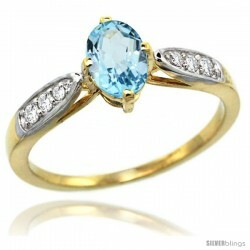 14k Gold Sky Blue Topaz Engagement Ring 1.10 Carats Oval Cut Stone 0.19 cttw Diamonds, 5/16inch. 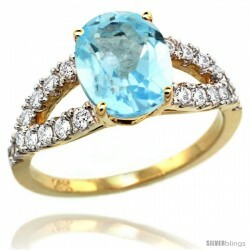 14k Gold Sky Blue Topaz Halo Engagement Ring 5.65 carats Oval Cut Stone 0.15 cttw Diamonds, 1/2inch.